Free shipping. Buy direct from HP. See customer reviews and comparisons for the StarTech.com DisplayPort to HDMI Video Converter Cable. Upgrades and savings on select products. 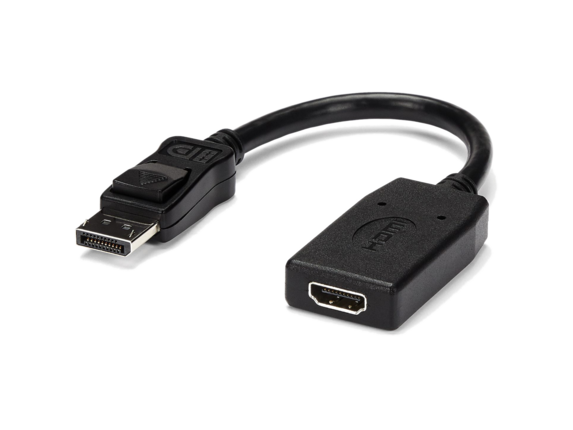 Connect your HDMI® monitor or HDTV to a DisplayPort® equipped computer. The StarTech.com DisplayPort® to HDMI® adapter lets you connect an HDMI-enabled video display to a DisplayPort video source (e.g.DisplayPort video cards, etc. ), eliminating the expense of having to upgrade your display for DisplayPort compatibility.